tl;dr: Enable keepalives and permit without stream on both the client and server and make sure the keepalive time matches between clients and servers. 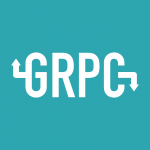 We’re using gRpc in containerized applications written in four languages on AWS Fargate. Our service location and load balancing method is currently a combination of DNS and AWS Network Load Balancers. First, we attempted to get around this by configuring gRpc keepalives on our clients. It seemed like a keepalive sent every minute or so would be enough to keep the NLB connections open. Unfortunately, this didn’t work. Instead, we found keepalives weren’t even sent. Digging in to the gRpc implementation, we realized keepalives are only sent with active streams unless the “Permit Without Stream” option is enabled. So, our second attempt including enabling this on the clients. This actually worked better, but connections still died – just after a longer delay. At this point, we enabled trace debugging on both a Go client and a Java server, observed the behavior, then dug into the implementations again. What we saw in this particular combination was that a gRpc Java server wouldn’t tolerate more than 2 pings in a 5 minute period from a client. We tried adjusting the keepalive time on the Go client, but Go gRpc 1.18 didn’t strictly honor the keepalive time. The first ping came at exactly double the configured timeout, the second ping came a varying amount of time after that. The client was soon disconnected with GO_AWAY ENHANCE_YOUR_CALM. Every time the client reconnected, it doubled the initial ping time. This resulted in idle connections staying open longer than not having keepalives configured, but there was no value of timeout that wouldn’t either eventually let the NLB terminate the connection or cause the server to kill the connection. The only option was to enable keepalives on both clients and servers and standardize the time values to ensure the server wouldn’t boot off a more aggressive client. Trace logging now confirmed ping flowing both directions with no GO_AWAY disconnects from the server. We then attacked all our clients and servers in Java, Go, Scala, and Python. We made sure the client and server values matched for keepalive time, timeout, and enabled permit without stream on both sides. « Mapping MySQL binary columns to UUIDs with jOOQ	» How to Save a Small Fortune by Buffering Less.